Can EventReporter work with custom event logs? Does EventReporter read the custom event logs? We have an application where we log our events to custom event log category we created in the windows eventlog. I would like to test EventReporter on this log. Yes, EventReporter can work with custom event logs. 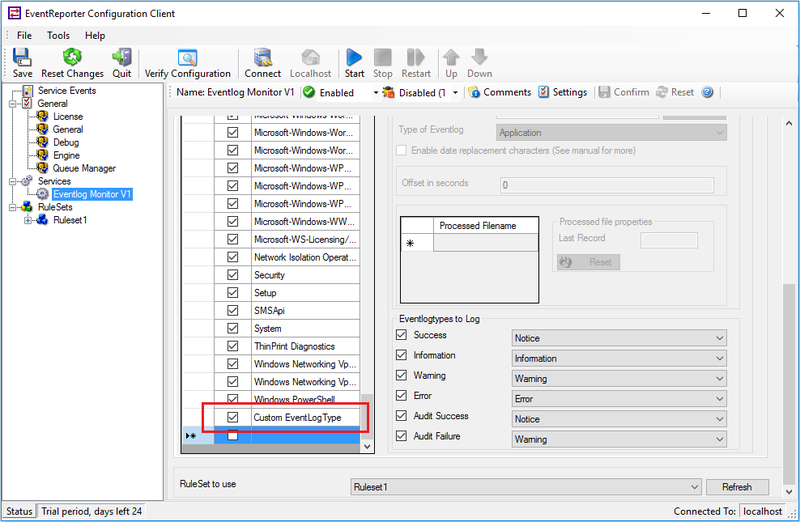 To do so, please create an EventLog Monitor Service, insert and then specify the name of the new eventlog category, after this press save. « Timestamp in field “ReceivedAt” and “DeviceReportedTime” stored in the database is wrong ?